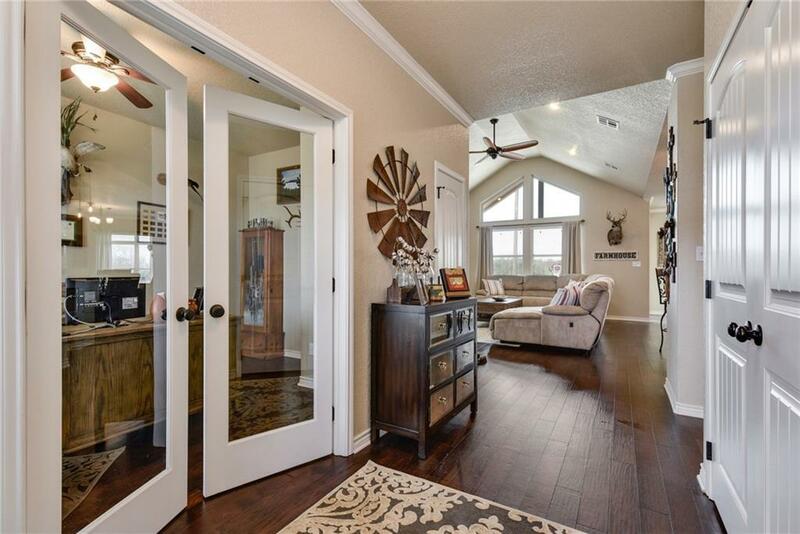 Beautiful custom home backing up to Farm! 4 bedrooms or 3/2 + Office!. 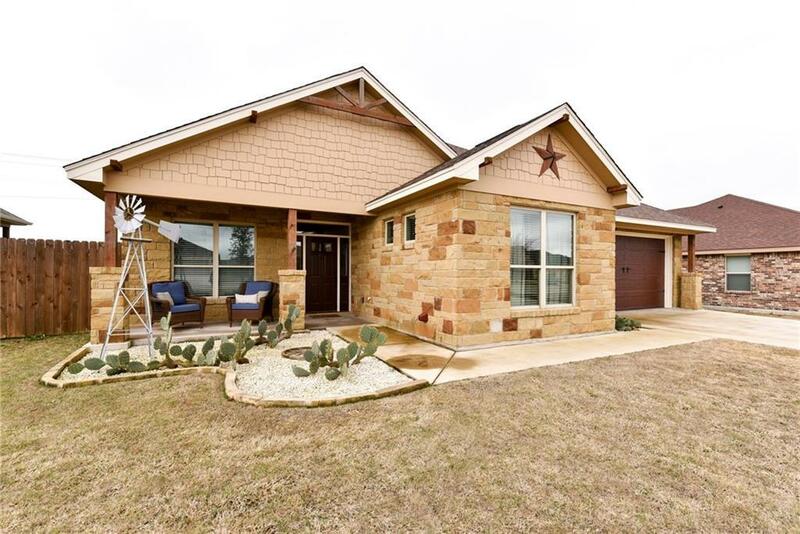 Beautiful Granite counters, stainless appliances and wood floors in kitchen, dining and living rooms. 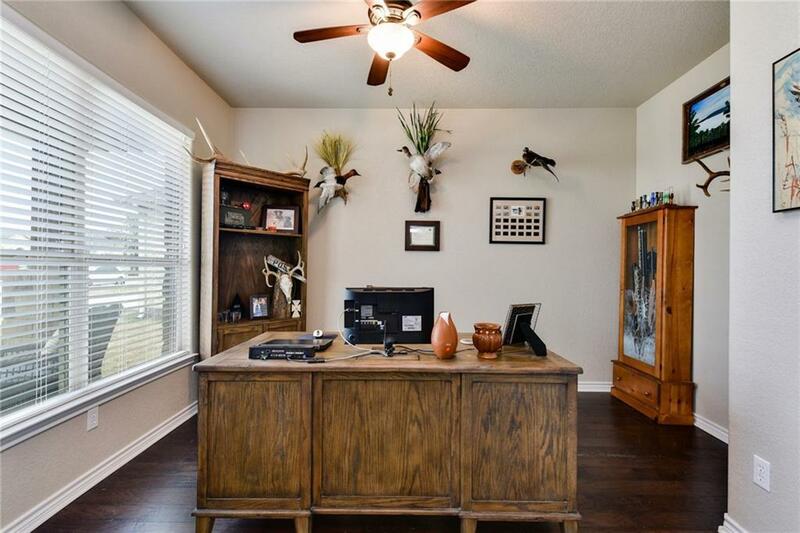 Enjoy great views from your living room and witness the beautiful Texas Sunsets! Awesome back patio for entertaining or just to sit back, relax and enjoy a glass of wine. The master bedroom is large enough for a full bedroom suite of furniture and has a wonderful spa-like bathroom. Garage is extended to make space for 3 cars! 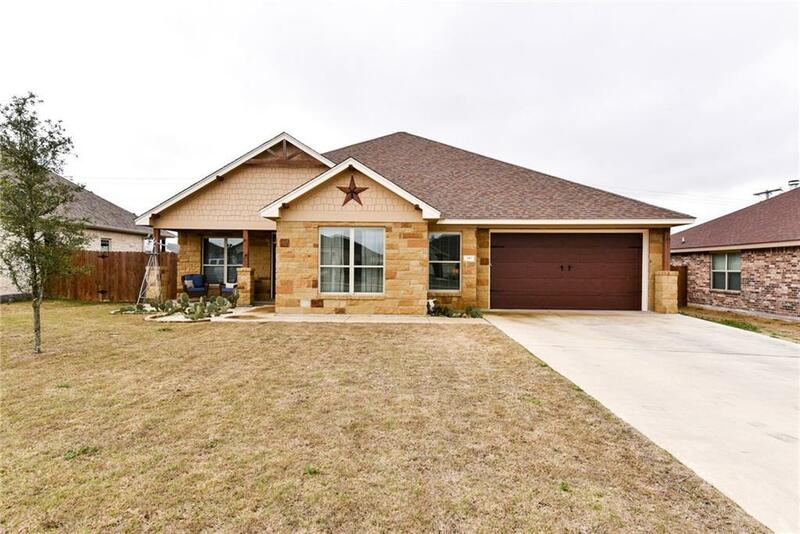 Property listed by Carnley Properties.